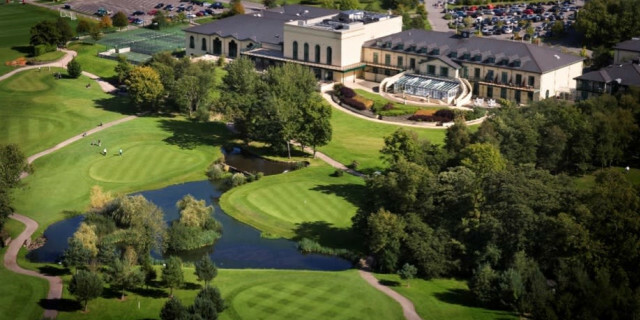 The Vale Resort is a luxurious 4-star golfing resort located in South Wales, between Swansea and Cardiff. The resort is easily accessible for visitors travelling long distances, Cardiff airport is only a 25-minute taxi ride away or for visitor’s closer by, simply turning off at J34 on the M4 motorway you will be just minutes away from the tranquil setting of the resort and all its remarkable facilities. Driving through the gates of the resort you are instantly struck with the beautiful image of over 650 acres of Welsh countryside that surrounds the facility. Contrastingly, you are also greeted by the state of the art training facilities that connect to the hotel. The resort is home to 7 FIFA standard football pitches and 7 IRB rugby training pitches, maintained at the highest quality for sports most elite athletes. The facility is the home for both the Wales RFU, Cardiff Blues and Cardiff City FC, along with catering for other teams such as Juventus FC and The British and Irish Lions who used the facilities during their time in Wales. With the world’s top athletes frequently staying at the resort, the gym, spa and pool facilities need to be of the highest order and specification. The Vale is host to the largest spa in Wales, facilities include a sauna, steam room and whirlpool bath along with a 20m indoor swimming pool. The gym has only recently been completed and the new design includes the latest equipment for all your training needs. All this athletic training will certainly work up an appetite, and the Vale resort has the catering aspect of your stay covered. The Vale Grill is a stylish and formal restaurant located in the hotel overlooking the football training facilities and the 10th hole of the Lake Course. The restaurant has both a professional and comfortable feel to it, providing you with a mouth-watering meal along with an excellent and friendly service. Not only is the stylish option of the Grill restaurant available, but the resort can also cater for a special Sunday Lunch service, along with a thriving golfing clubhouse situated in between the Welsh National and Lake golf courses, specifically devoted for functions for golfers. Each of the 143 different hotel rooms provide the best in comfort and luxury. Our hotel room overlooked the Lake Course and the beautiful weather meant sitting out watching the twilight golfers finish their rounds was a great way to spend the evening. Although the rooms were slightly outdated with their appearance, most likely they have not been altered considerably from their original design, the bathrooms and beds both looked very modern and stylish. As a place to rest up before a challenging days golf, the room fits the bill perfectly in both comfort and luxury. When you see the golf facilities you are immediately struck by the incredible pro-shop, filled with an indoor putting green, locker rooms and a great range of clubs and clothing brands. The staff in the shop were extremely friendly and helpful, something that is notable throughout the resort, all the way from the starter on the 1st tee to the receptionist at the hotel desk. Another noticeable sight was the number of young golfers walking around and the influence they have had on the course. The range was full of junior golfers shelling balls early in the morning and surrounding the short game areas. As a young golfer myself, seeing a club put so much emphasis on promoting the future generations of the game is something I believe every club should aspire to achieve. It was established in 2003 Architect Peter Johnson. 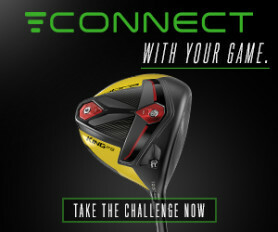 From its tips, it measures 7,433 yards. Par 73 / SSS 75. This is a creative twist on a parkland golf course, testing every aspect of a golfer’s ability, from long drives to precise irons shots, your game needs to be firing on all cylinders to take down this beastly Welsh dragon. The trees are tall, the bunkers are expansive, visible and intimidating; the water features are certainly more lake than pond. The course offers a mixture of wide and funnel fairways, driveable par fours and out of reach par fives, doglegs in both directions, and the aforementioned water hazards at different times are in line of sight for right and left-handed players. By far one of the most visually intimidating holes I have ever had the honour of playing. Stood on any of the tee boxes (the blue tees especially), you are taken back by the tight, shaded corridor of fairway you have to aim at. The sheer length of the hole would intimidate most amateur golfers, however, combine this with the tall alleyway of trees that capture any loose shots slightly left or right, strikes fear into the heart of golfers of all abilities. The combination of length and small fairway creates a golfing hole that requires power and accuracy. The stroke index 1 rating for the hole is most definitely correct on this account. This is an enticing downhill par four. Big hitters will consider taking on the green from the tee, while for most the choice is a longer tee shot and a flick over the water, or a lay-up much further back followed by a mid-iron approach. Every option opens up a chance for a birdie, but it’s just as easy to drop shots. What you see is what you get! Great golf hole and layout. Aiming just left of the bunkers from the tee on the sig­nature par five 10th hole, only the very best drive leaves a decision on whether to attack the green. For most, the lay-up will be the right play, but a bunker on the right guards the widest point of the fairway, and a fantastic lake lines the entire left-hand side and front portion of the green. This really is a beautiful golf hole. A challenging yet beautiful Par 3 golf hole, the elevated tee box immediately inspires a lack of confidence in your club choice. This feeling becomes amplified when you catch glimpse of the large pond covering the front edge of the green, grabbing any ball that comes up short of the green. Bunkers both left and right protect the stray iron shot, along with severe drop off on all sides on the two-tiered green. The 14th hole is both beautiful and intimidating, a great Par 3. Complementing Wales National is the Lake Course. As its name suggests, water comes into play often, over 60% of the course has water lurking. There are many panoramic views of the estate throughout your time on the course giving the Lake course a very picturesque layout. This is the older course established in 1998, again it was designed by Peter Johnson. The overall yardage at full length is 6,436 yards, Par 72 / SSS 72. This course is a perfect resort type layout offering risk or reward challenges a plenty. There are drivable Par 4’s, unnerving Par 3’s and challenging Par 5’s. This course is the definition of quirky. It’s obvious that the course is not as demanding or kept in as good condition as its younger brother, the Wales National, but make no mistake, this course can quickly become just as tough to play if you are not strategic and respectful of the unconventional golf course design. The first hole embodies all the creative characteristics this course has. A small and narrow Par 3 is the first problem of many you will face playing this course, the severe downhill gradient and surrounding trees create an intimidating initial tee shot. Swing true and steady as the gradient makes it difficult to select the correct club, along with the looming presence of the hotel residing next to the hole, certainly in striking distance of any wild tee-shots. Judging the par three eighth is no pushover either, with a massive drop down to the green making club selection a head-scratcher from the tee, especially when facing the intimidating spread of bunkers that guard the front. Enjoy the fine views across the resort but don’t be distracted as you’ll need to concentrate to find the right part of this extended green. This is by far the Lake Course’s heart-thumping signature hole. Ordinarily, a 316-yard Par 4 isn’t going to give most golfers cause for concern, but throw in an island green and a lake running the entire left side of the fairway along with surrounding the green, and you’ll reduce many to tears. With a beautiful resemblance to the 17th hole at TPC Sawgrass, your second shot into this hole is both terrifying and beautiful, a picturesque image that you will take home with you as the symbol of the Lake Course. The final hole will have many weighing up the Hollywood finish over water versus the sensible lay-up. If you get a reasonable drive away over the corner of the dogleg it’ll be hard to resist going for it in two, even before factoring in the peer pressure, pride, ego, or last-ditch attempt to save your scorecard. However, the narrow green and watery abyss that lies short of the pin make sure that a great golf shot is required on your way to finish your round. Not to be underestimated, a round on the Lake Course will leave you with just as many thrills and spills to discuss in the bar afterwards as a round on the Wales National. Tales of greens driven, par fives humbled, and watery graves are certain to prove that fun on the golf course comes in all shapes and sizes. The Wales National course is an impressive and expansive parkland design. 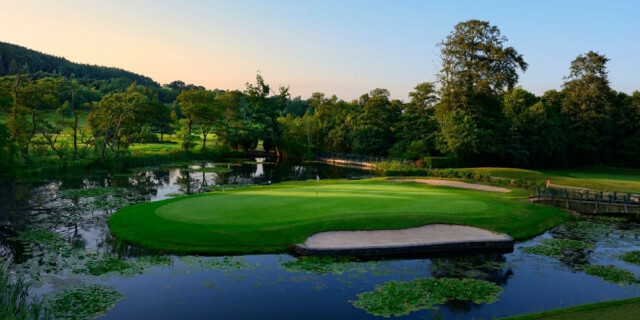 Every golfing psychologist will tell you that you should pay as little attention as possible to hazards, but playing Wales National, it is par­ticularly hard to ignore the towering trees, the sprawling bunkers, the rocky flower beds and the shapely lakes. Picturesque problems are plentiful. Both courses have kept their modern feel of creative and inventive golf. They demand a variety of shots whilst being very attractive to the eye. They demand length and precision and offer challenges at every turn. Their contrasts are what make both courses so unique and fun to play, all of the 36 holes available at this resort are different to each other in layout, presentation, difficulty and appearance. The Vale Resort as a whole is a facility that simply screams “golf break”. The hotel accommodation and dining facilities provides both luxury and simplicity for any travelling golfers needs. Combine this with two high quality and interesting golf courses and this really becomes a golfing destination and resort of the highest order.